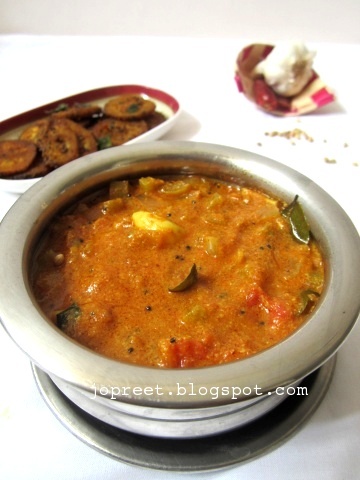 A well known south-indian spicy curry which can be tried with many vegetables like drum stick, lady finger, brinjal, raw mango etc. I had a half snake gourd left in my refrigerator. So i just thought lets try karakuzhambu with this veggie. It worked out well. It had usual karakuzhambu taste. 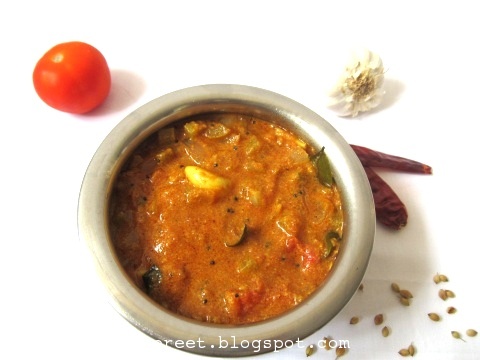 It goes well with rice or idli/dosa. Prepare the paste adding little water and keep aside. 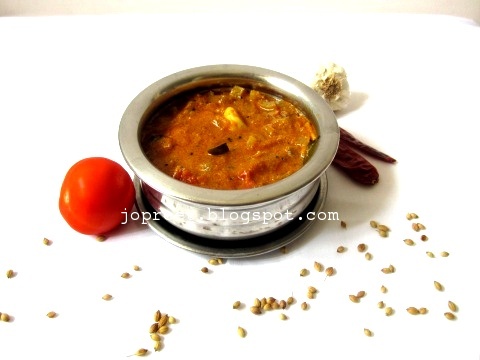 Cook the chopped podalanga in water for 5-6 mins. Drain the water completely. Heat oil in a kadhai and temper mustard seeds. Add bengal gram, garlic flakes and curry leaves. Saute a while. Add chopped onions and green chilies. Fry for 2 mins. Add chopped tomatoes and mash the pulp. Add cooked vegetable and saute a while. Add turmeric powder, red chili powder and coriander powder. Add tamarind water and cook it covered for 10 mins. Add more water if needed. Add salt to taste and grounded paste. Cook it covered for 15 mins. Remove from the heat and serve hot with steamed rice. Curry looks very delicious. Irresistible. Bookmarked. The colour and picture of this curry is really tempting Preeti. Love to try this. 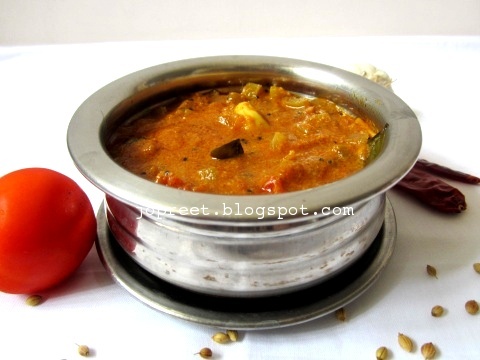 Looks YUm…Never tried snakeguord as karakulambu…like it…. This is soo yummiee! 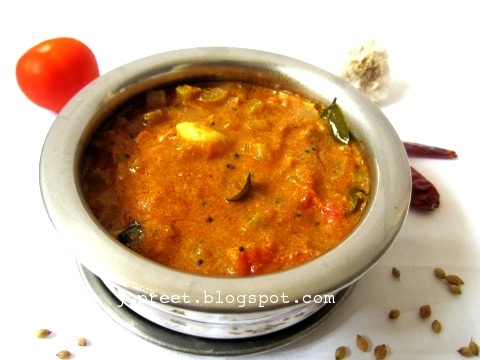 I love Kara Kuzhambu and podalanga…. but never tried both together! Will definitely try it out!! Fingerlicking kara kuzhambu,yummu and delicious. Tried it today and turned out yummy 🙂 thanks a ton!